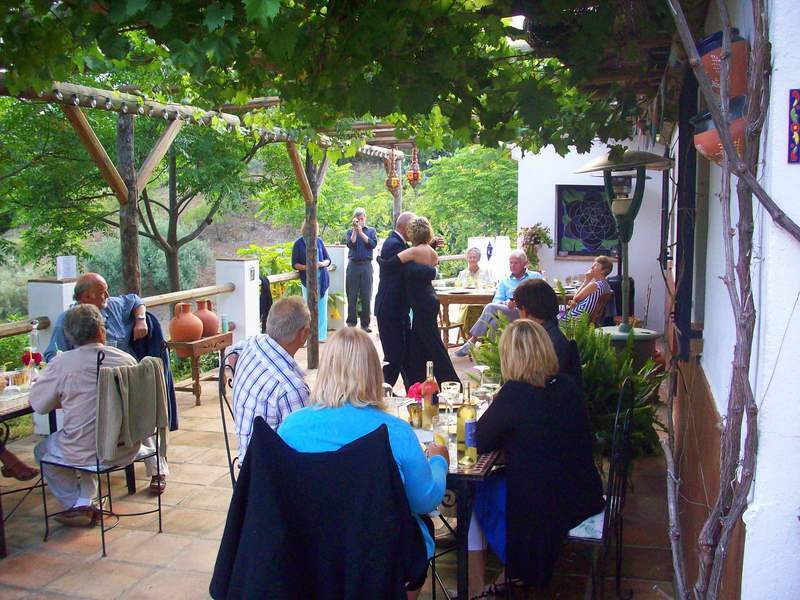 Tango | La Rosilla - Lifestyle and food. 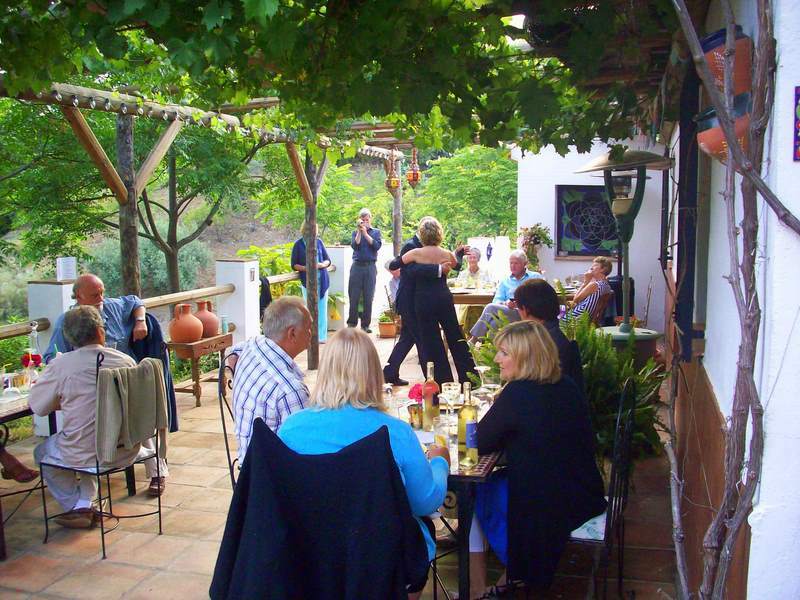 My two favourite things ..
Dinner & dancing, two of my favourite things… So to start off the season of my supperclub ‘La Rosilla – Supper on the Terrace’ , I planned ‘Tango on the Terrace’ . Now this year the weather has been all over the place, by this time of year we are almost guaranteed balmy nights of lazy, long suppers, but not this year, and not on my inaugural night. Busy cooking in the kitchen, and shouting orders to ninos to sort plates, cutlery and glasses, writing lists for the OH to prepare..no matter how organised there seems always so much to do at the last-minute. 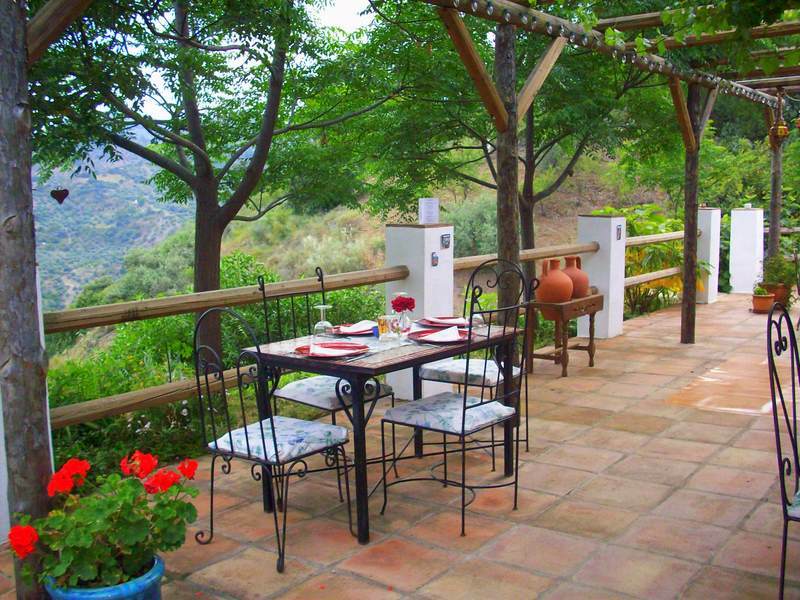 The weather in the meantime, was there on the back of mind, and cooking with fingers and toes crossed, and twitter friends crossing fingers and toes for me two, I kept popping my head out to see, checking ‘eltiempo’ for its hourly updates..and thinking please god, be nice to me. At the 11th hour, we took the gamble and laid our tables for 16 , and my prayers & extremity crossing worked, not balmy and sunny, but just good enough. 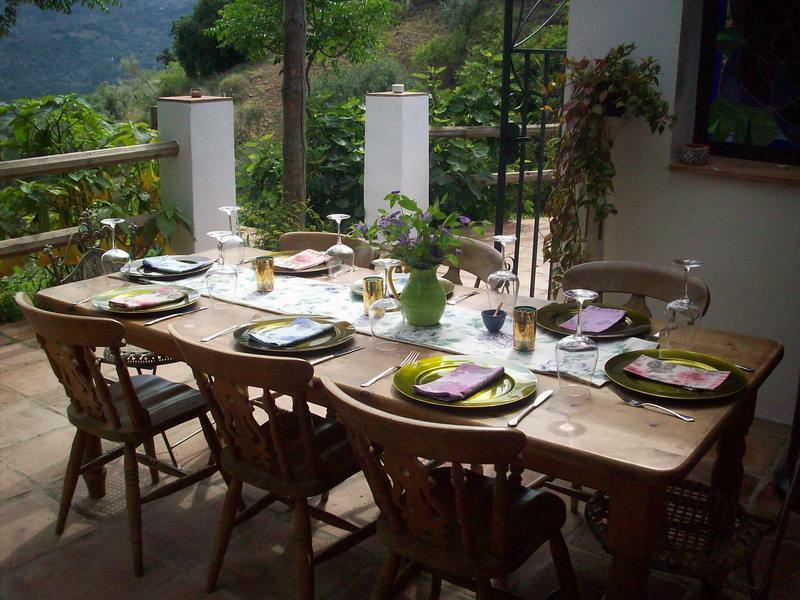 Guests arrived promptly and were served Mojitos, and Empanadas, before sitting down, to their night of feasting and frolics. Erika & Ken from Casa Media Luna – Tango Holidays entertained our guests beautifully with their graceful dancing, with the mood of dance in the air, my daughter decided to do and impromptu ‘Flamenco’ so quickly swapping her apron for a shawl, and sensible shoes to her dancing shoes, she too added wonderfully to our evening.